Well that wasn’t terrible, but I’m not sure I can call it great either. 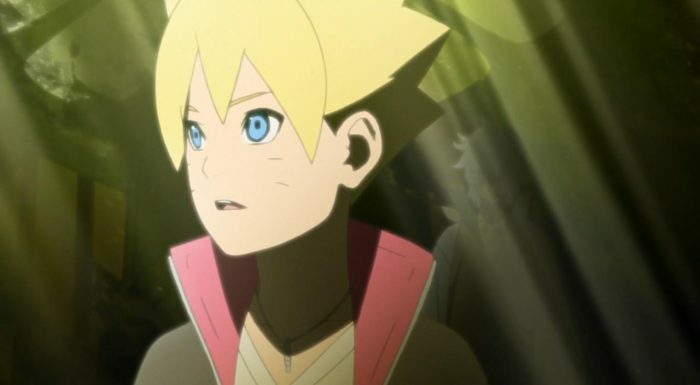 Skirting somewhere between mediocre and entertaining, this week’s Boruto episode felt like it tried really hard to balance its slice of life aspects with a more traditional “destiny and ninja powers” plot that the Naruto/Boruto franchise has become known for. Thing is, everything that this episode did felt like a bit of a mixed bag. For everything the show did right, it did something that felt jarring and weird, and in the end the overall quality of the episode itself dipped a bit, as a result. Here’s the thing, I never expected Boruto to be a second Naruto story, especially given that its being written by a different writer, and a different set of people are bringing this particular show to life. 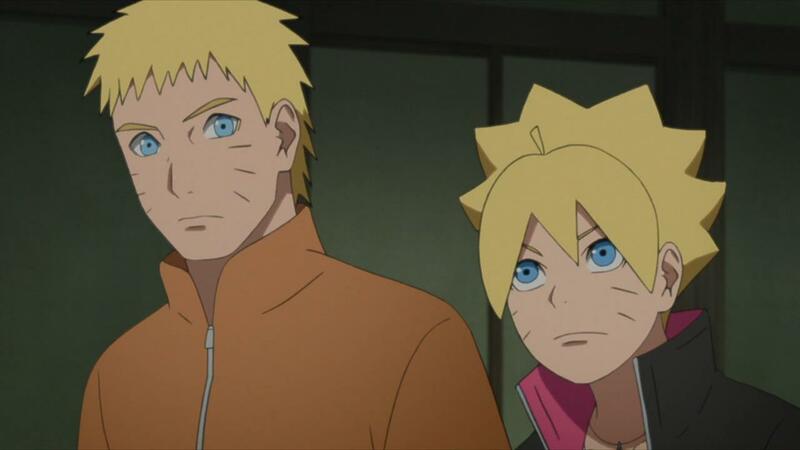 Is it unreasonable to compare Boruto to his father’s original story? Maybe, but I think what Boruto needs to be, is first and foremost, an entertaining and interesting show itself, regardless of its lasting legacy and the huge shoes it has to now fill. 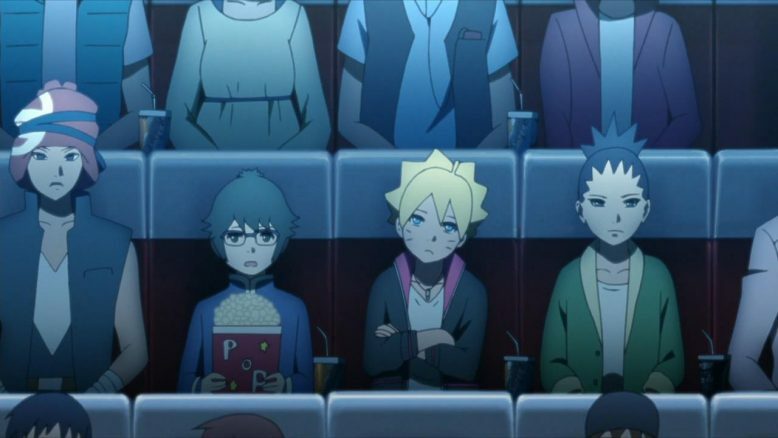 The problem I have with Boruto thus far is that, despite a strong start and some smart ideas, the show continues to fail to carve out its own style of storytelling. And if that weren’t enough, the show isn’t shy about taking full advantage of the investment and wealth of characters and world building that it has access to by virtue of being a sequel. There’s stuff that fans of Naruto will always be curious about, and chief among them is going to be how certain characters turned out, and where they’re at, after the events of the first series. Most of the time its awesome… Most of the time Naruto. The show does that part really well. It gives fans a good deal of solid fanservice. Its in those moments of fanservice, that I think show really does capitalize on its latent potential. Whenever Boruto interacts with the previous generation of characters, there’s always some fairly solid moments that come out, as a result, which is surprising to say the least. I expected the show to trample on previous characters, or feel off, but its the connection to the past that’s actually really well executed, on a consistent basis. 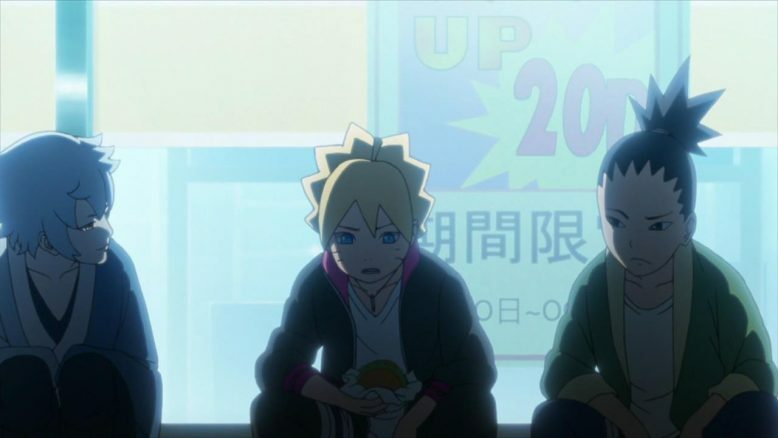 The big and most notable thing this week, beyond the continued uneasy interactions between Boruto and his dad, was the audience also getting a chance to see Hinata’s father and her sister Hanabi in this new present. 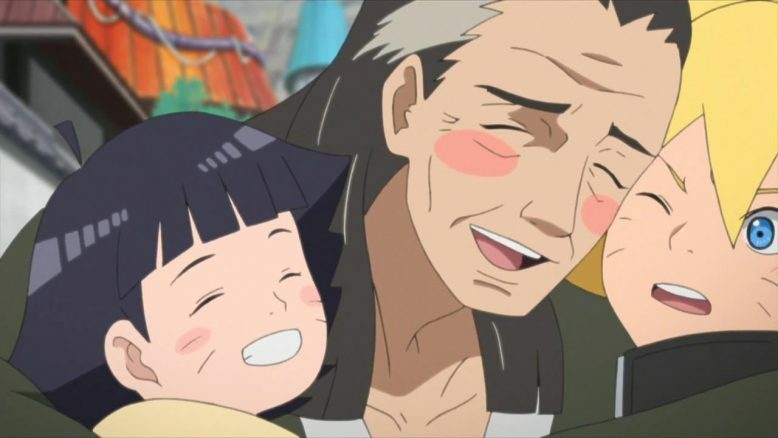 And man, I have to admit, the show made me smile when it had Grandpa Hyuga totally doting on his grand children, followed by Hanabi herself equally as enthralled at seeing her niece and nephew. Those are good character moments, and even the comedy of seeing these fairly serious characters show a loving and caring side of themselves worked, both as comedy and just as a general feel good moment. Of course, at the same time… The actual reason to go see these two family members, was paper thin at best. 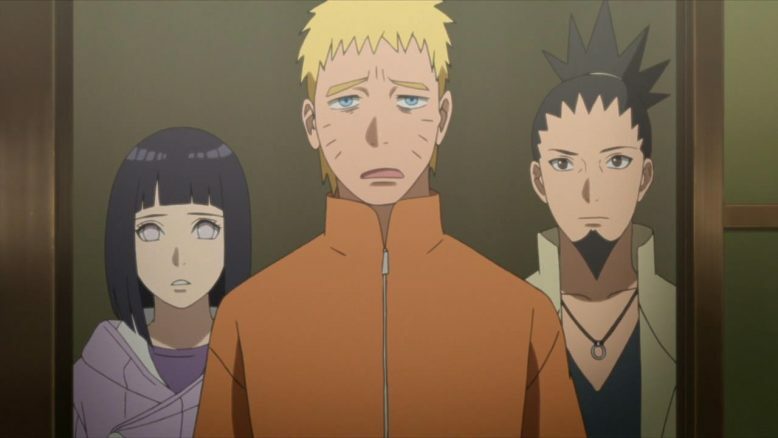 Given how darn strong Hinata is, and given how much of a role her Byakugan has played in events prior to this series, it makes no sense to have Boruto and Naruto go elsewhere seeking answers. There was a decent amount of suspension of disbelief that the show asked of viewers this week, and it just, well, didn’t quite sit well with me. It also would’ve made a lot more sense for Hinata to be taking her son and daughter over to Grandpa’s, rather than Naruto (who seems so busy that he can barely stay vertical these days). Do the ends justify the means? Again… Maybe…? I mean, I enjoyed the moments we got from the family reunion, but the process to get there seemed pretty stupid. 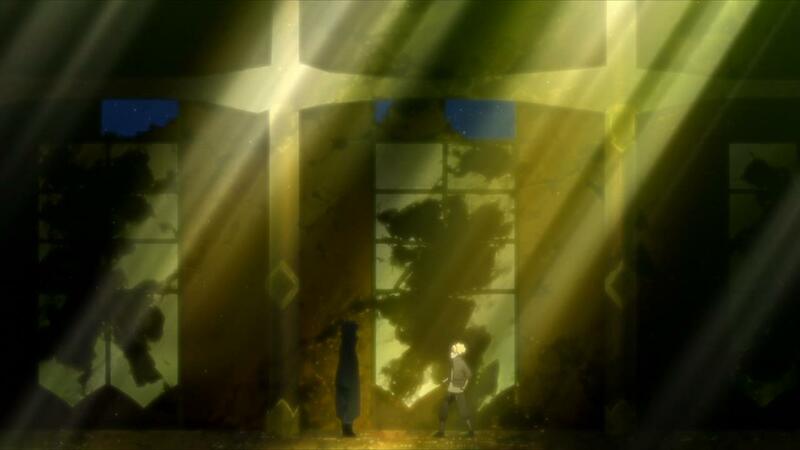 And this kind of good and bad storytelling kind of prevailed through a lot of the episode. Self Realization via Shadow Cloning. For one thing, I liked Boruto’s whole reasoning for why he wanted to stay involved in the current “Purple Chakra” incident, and why he didn’t want to go straight to the adults. It was really clever to spin the whole idea of Naruto and the rest not taking the kids seriously. 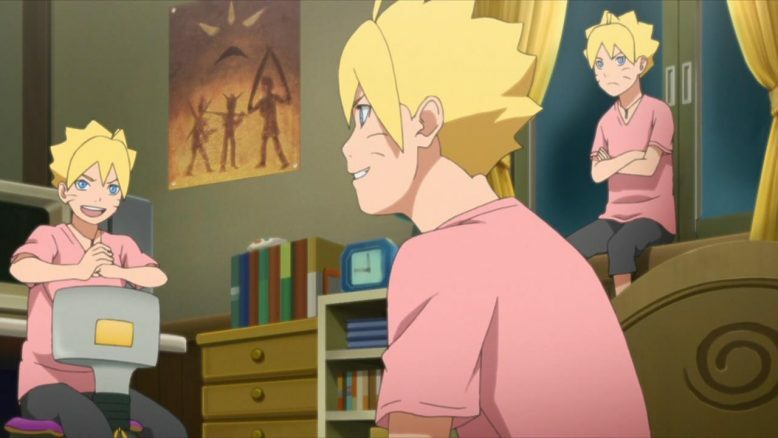 That not only always seems to happen in stories like this one, but Naruto himself doesn’t seem all that great at connecting with Boruto either. On the flip side, the whole “Kagemasa” super hero bit was so outlandishly silly, it just threw any credibility and seriousness right out of the window. Boruto seemed like he was a Chuunibuyo, with how he was spouting lines that criss-crossed Japanese with English words. The imaginative joke would’ve worked if Boruto was a dumb character, but he’s generally not. The guy is a smart kid, and one that was playing down Kagemasa just a few moments ago. The whole “I’m now a super hero” bit, even from the Japanese angle that it was being shown from, just felt like a huge miss. And keeping with the yin yang tradition, we have the growing mystery of Boruto’s eye, and what exactly this new found power is. Again, I really like how the show is handling this whole thing. My money is on Boruto’s eye not being a Byakugan at all, but some new kind of power that resulted from the union of a Friggin Kyubi host and a Hyuga clan member. I like how the show is basically giving the kid his own kind of power, and its a power that may not be something that anyone around him can understand. Even the dream sequence with what seems like the Sage of the Six paths, was pretty endearing. What I didn’t like though? How much the show threw in some artificial tension into the whole thing between Boruto and Naruto. The whole “I’m gonna prove that my power is real” from Boruto, and the whole flimsy “I’m not really sure” from Naruto, felt so incredibly off and weird, that it just broke all the build up and excitement from it all. If… And please excuse my comparisons to Naruto again, but IF this were in the old series, then Naruto and Boruto’s disagreement would’ve made a lot more sense, and felt like a real argument between a dad and his son. 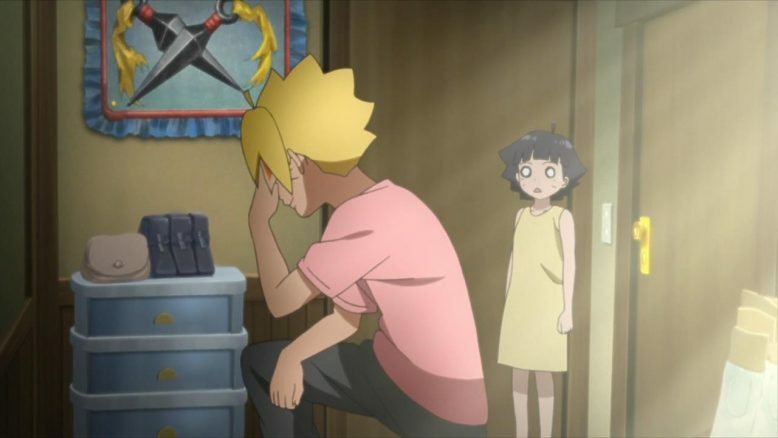 Boruto would’ve probably ducked out away from home, run away over to his grandpa’s and relied on him for answers. The scenario is pretty similar, but the execution and finesse is just leagues different. Everything Boruto pulls off has the stink of an amateur all over it. Nothing feels confident, solid or right, and the show ends up going too far where it shouldn’t, and doesn’t go far enough where it needs to. The smart ideas end up feeling like missed opportunities, and only barely manage to keep the intrigue going on the merit of just being smart ideas, rather than anything else. The pacing for Boruto isn’t bad, the animation and artwork are pretty decent, but the writing for this show is where it is just so… uneven. It seems evident to me, that the show just doesn’t have the same caliber of talent behind it that the original manga did, and that really is starting to become a darn shame. This feels like one of those Bleach filler arcs that were actually half decent, but ended up feeling just a bit “off”. I’m still watching Boruto, and writing about it, but my patience and tolerance is starting to wear a bit thin. With competition this season from shows like Shingeki no Kyoujin and Boku no Hero Academia, I don’t think this show can afford to be anything other than superb. It hasn’t been thus far, which, I think has me giving it a harder time than it probably warrants. Here’s the thing though, my high expectations for this show don’t stem from it being a Naruto sequel. It was the opening two episodes, rather, that gave me the impression that this show was going to meet the hype that initially surrounded it. Perhaps the show’s own strong start is working against it, which is a darn shame because, that show? The one I saw at the very beginning of this series? That show was awesome.